Halong Bay is one of Mother Earth’s most amazing natural wonders and one of the visiting tourist attractions on the planet. Visitting Ha Long Bay, you will amaze with natural beauty that is very typical of Ha Long, moreover, have oppotunity to explore the natural beauty with all our thousands of islands, beaches, caves, fishing villages on the bay. Hội An is a city of Vietnam, on the coast of the East Sea in the South Central Coast region of Vietnam. It is located in Quảng Nam Province and is home to approximately 120,000 inhabitants. It is recognized as a World Heritage Site by UNESCO. Hội An Ancient Town is an exceptionally well-preserved example of a South-East Asian trading port dating from the 15th to the 19th century. The Mekong Delta (Đồng bằng Sông Cửu Long ) is the region in southwestern Vietnam where the Mekong River approaches and empties into the sea through a network of distributaries. The Mekong delta region encompasses a large portion of southwestern Vietnam of 39,000 square kilometres. The size of the area covered by water depends on the season. The Mekong Delta has recently been dubbed as a “biological treasure trove”. Over 10,000 new species have been discovered in previously unexplored areas of Mekong Delta. Ho Chi Minh City formerly named Saigon, is the largest city in Vietnam. It was once known as Prey Nokor, an important Khmer sea port prior to annexation by the Vietnamese in the 17th century. 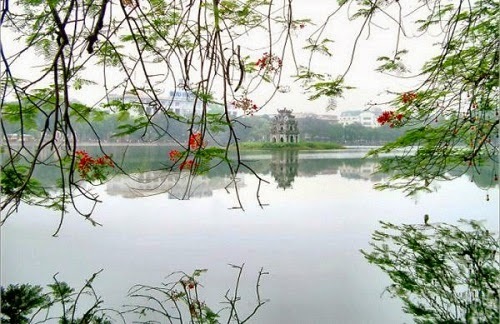 Hanoi and surrounding trip will provide you a glance of Hanoi city and some of the villages near by Hanoi. The tour will start in the busy city to the peaceful &fresh air of the Hoa Lu old Capital of Vietnam, it is still preserved its heritages with many temples and pagodas. Then finish at Bat Trang Pottery village. After a warm welcome on arrival, transfer to the hotel in Hanoi then free time. Welcome dinner will be served at one of the best restaurant in Hanoi. This morning, you will visit famous Ho Chi Minh complex comprising his Mausoleum, former residence, the impressive house on stilts and view the One Pillar Pagoda. The One Pillar Pagoda, formally Dien Huu is a historic Buddhist temple. It is regarded alongside the Perfume Pagoda, as one of Vietnam's two most iconic temples. In the next step, you will learn more about the historical and cultural events at the peaceful Temple of Literature, known as the Vietnam’s first university since the 11th century. In the afternoon, you will visit Ethnology museum, a museum that focuses on the 54 officially recognized. Back to the city central, you continue walking around Hoan Kiem Lake and visiting Ngoc Son Temple which to be the heart of Vietnam. 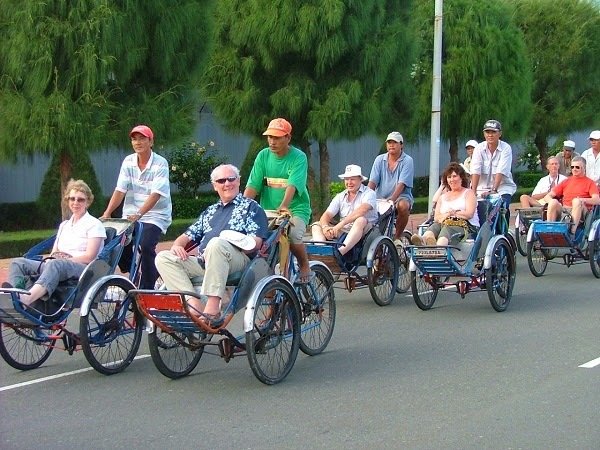 Later on, you take an hour Cyclo - tour viewing the charming French colonial architecture to the bustling Old Quarter. To finish the day off, you attend the performance of the unique water puppetry. Transfer to Ninh Binh province. Visit Hoa Lu - Nearly one thousand years’ ago, this place used to be the Capital of Grand Viet ruled by Dinh and Le Dynasty. In spite of many feudal and historical conflicts, Hoa Lu still preserved its heritages with many temples and pagodas. Your one-day tour will be filled with many legend and myth. Additionally, one thing that make this tour the most exiting is the boat trip through winding stream to visit Tam Coc ( three grottoes)- regarded as “ inland Halong bay”. Have lunch at local restaurant. Return Hanoi in the afternoon. In the morning, visit Bat Trang Pottery Village. In the period about 12th - 14th century, there are a numbers of families in Bo Bat Pottery Village (in Thanh Hoa Province now). They were Bui, Phung, Tran and Vu families coming there to work pottery, selling it to people in city even doing business with foreigners. At first, it was called Bach Ho Group and when there are the thousands of pottery-kiln, it was called Bat Trang - the age of name is as approximately old as the age of group. Here you have chance to make pottery like your way and enjoy special souvenirs. Free until transfer to Noi Bai airport for your departure flight. Located in Hoa Binh province, approximately 135 km from Hanoi, Mai Chau is the heart of a beautiful valley that is a world away from the hustle of Hanoi. Visit Mai Chau, you will have a chance to stay at the local family, enjoy the minority specialty dishes including rice cooked in bamboo and grilled meat, watching traditional dancing, music performances (bronze, drums, gongs), and Thai minority singing and dancing. 08.00: Travel onto Mai Chau by coach. The journey is approximately 3.5hrs, with wonderful scenery including rice paddies and green mountains. A short break along the way is included. On arrival at Mai Chau, check into the Stilt Houses in Pom Coong Village. Set a few hundred meters back from the 'main' roadside, Lac Village, home of a Thai ethnic minority group, offers a rustic experience in traditional Thai stilt houses. Villagers will sometimes organize traditional song-and-dance performances in the evenings and anyone is free to join in the fun. Lunch has been arranged at the village. In the afternoon, visit Pa Co village, located 1,000m above the sea level, is inhabited by the H’mong ethnic minority community. The mountain air and a cool breeze make a two hour walk a positive joy as you stride though the verdant foliage peppered with fruit trees, animals and wildlife. You'll return to Lac Village for overnight. Evening meal in the village, included within your tour. You shall then enjoy a traditional Thai music show with the famous "bamboo" dance included. After breakfast, cycle to the Nhot Village where you can see beautiful scenery of rice fields surrounded by mountains. Stop on the way to meet locals and visit their houses. Cycle back for having lunch in the local house. In the afternoon, drive back to Hanoi. On the way, stop to visit Thay pagoda which was built in the 11th century during the reign of Ly Nhan Tong King. Arrive in Hanoi in the late afternoon. End of services. Mai Chau is a mountainous area of outstanding natural beauty, inhabited by a Thai and H’mong ethnic minority groups. Visit Mai Chau, you will have a chance to stay at the local family, enjoy the minority specialty dishes including rice cooked in bamboo and grilled meat, watching traditional dancing, music performances (bronze, drums, gongs), and Thai minority singing and dancing. 08.00: Travel to Mai Chau by coach. The journey is approximately 3.5hrs, with wonderful scenery including rice paddies and green mountains. A short break along the way is included. 19h00: Complement your experience by sampling delicacies from the local region during dinner time and enjoy the performance by local troupe of ethnic minority Muong and Thai people. It is so relaxing to watch the exotic dances featuring the flower, land-scape and daily agriculture cultivating activities and sweet dating songs in the fresh mountain air. 08h00: Enjoy a tasty international breakfast buffet in Bo Luong Restaurant with views overlooking the lake, the paddy fields and the swimming pool. 09h00: Start the Valley biking tour. The ride passes through many villages, across lush rice paddies and into the countryside to get to know the local hill tribe people and their culture better. 13h30: Leave Mai Chau. You will arrive in Hanoi at around 17h00. Tour finishes. A nature Reserve near Mai Chau town of the Thai people is PU LUONG, it is a great choice for your two days or weekend from Hanoi, you can visit and stay in the traditional home of the Thai – one of Vietnam 54 ethnic minorities, visit to these beautiful villages you will also have chance to walk or trek on trails less travelled, meeting the locals....all of this will simply offer you an unforgettable experience. On arrival at Mai Chau, visit Lac village, home of a Thai ethnic minority group, offers a rustic experience in traditional Thai stilt houses. Villagers will sometimes organize traditional song-and-dance performances in the evenings and anyone is free to join in the fun. In the afternoon, driving 20 km more to Pu Luong Natural Reserve then start a 2 to 3 hour walk through beautiful hill side villages, magnificent rice paddies, seeing hand crafted bamboo water wheels. The highlight on this road is experiencing the beauty of Pu luong Nature Reserve, the everyday life and culture of the white Thai people. Enjoy a traditional dinner and stay the night at Hang village. The daily life here starts early, it will be interesting for you to get up at the first sign of day light and take part in the activities in the morning, or take a stroll around Hang village before having breakfast with our new Thai friends. At 8:00 am start a trek inside the Pu Luong Nature Reserve then onto the main road, after a 3 hour walk, transfer to the Poom Coong village for lunch. In the afternoon, drive back to Hanoi. End of the trip. Hoa Lu, situated 100 km south of Hanoi, was the capital city of Vietnam under the Dinh and Le Dynasties between 968 and 1009 AD. Hoa Lu was the first capital of Vietnam since 10th century. The area is also one of outstanding beauty natural with limestone peaks whose splendor is often said to surpass that of Ha Long Bay. It is true that Hoa Lu & Tam Coc is often referred to as the Ha Long Bay on land. We leave Hanoi at 08.00 and head south for the two hour drive along Highway One. We spend one hour visiting the Dinh and Le sanctuaries. These are the two remaining temples of the ancient citadel of Hoa Lu. The first is dedicated to Dinh Tien Hoang (also known as Dinh Bo Linh), an Emperor from the Dinh Dynasty. The second commemorates the rulers of the Le Dynasty. Dinh Bo Linh successfully conquered Vietnam’s first independent rulers, the Ngo Dynasty. On his death in 980, General Le Hoan wisely married Dinh’s widow and established the Le Dynasty and enlarged the citadel. We then move on to Tam Coc for a three hour boat trip along the Boi River. This area is rightly often referred to as the Ha Long Bay on land due to the similar topography. We return back to Hanoi at 6pm. Vietnamese cuisine is going to be one of the world's most delicious for its lively, fresh flavor and artfully composed meals. If you are the tourists in Hanoi who fall in love with foods, cooking class is a golden opportunity to learn how to cook delicious Vietnamese food and you can try your favorite recipe when coming back your homeland. On other hand, cooking class is another great activity to make your trip perfect, beside sightseeing schedules. Let's start the cooking class with us at Hanoi cooking central. Arrival at Hanoi Cooking Centre (HCC); here we will enjoy a special 'La Han' Vietnamese welcome tea. A brief introduction to Vietnamese cuisine will be given, highlighting the contents of a traditional Vietnamese meal. Then take a short walk to Chau Long Market, where we will be shown around by the Chef who will highlight the interesting goods on sale. Anything from livestock to silk worms is on offer to buy. Upon arriving back at the HCC the cooking class will begin and we will be able to sample some local goods, as well as getting all of the recipes printed for us to take home. On completion of the cooking class, enjoy the meal we have prepared. This gives us a chance to chat to the chef in the comfort of the HCC dining area and enjoy a drink whilst us relax. After the lesson receive a HCC 'Going Home' gift and we can also purchase some of the Vietnamese spices, tools and books that we have used during the day. Arrive Lao Cai station in the early morning, pick up and transfer to Sapa, having breakfast before starting the trip to Fansipang peak, You are having a couple of interesting days waiting ahead. You are having a couple of interesting days waiting ahead. You travel by car toward the Silver Waterfall where you will be able to take a short walk to the waterfall. You will then drive further to Heaven Gate, the highest peak of roads in Vietnam. From there you can see Fansipan, the highest peak of Indochina mountains as well as enjoy stunning views. The trek will be relatively soft until lunchtime. After a couple of hours of hiking, you will have a break at a nice spot in the forest and enjoy a good lunch. You will then continue descending toward Sin Chai village of Back Hmong minority. On the way you will be able to enjoy valley views and beautiful surrounding. You stop at the village for a while before you go by car back to Sapa, where you can celebrate your achievement and relax. Evening transfer to the station for a night train to Hanoi. Overnight on Train. Brief description: Experience the essential things to do in Hanoi, see all the historical and modern sights of the city with full commentary provided. Hop-on hop-off at major attractions including Ho Chi Minh Complex, One pillar pagoda, Temple of Literature, and walking along streets of the Old Quarter – a magnet for visitors. Ho Chi Minh Mausoleum (except for Monday & Friday & the whole Oct & Nov), Ba Dinh square, Presidential Palace, Ho Chi Minh House on stilt & one pillar pagoda. Afternoon we continue to visit the Temple of Literature, which is known as the first university in Viet Nam where dedicated to Confucius and his scholars. One hour Cyclo ride through the Old Quarter to explore the most interesting part of the city. You will explore a maze of hustle and bustle streets with a hotchpotch of architecture – traditional tube houses, religious buildings, artisans’ workshops, colonial houses and modern concrete edifices. Return to the hotel late afternoon. Important notes: You should wear the suit which cover your shoulder and knee because short wear is not allow inside the Mausoleum, Temple and Pagoda. Meal does not mention in itinerary & beverages other than specified. 11:30 Have lunch on board.